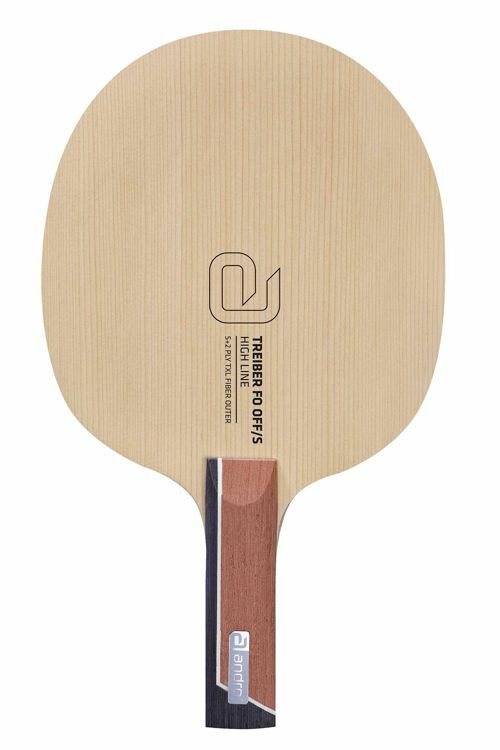 The andro TREIBER FO OFF / S is a very vital blade and thus made for active and brave acting types of players. The blade of choice of andro product developer and former No. 11 in the world Damien Eloi.
. TXL Fiber directly under the Hinoki outer veneer.
. The TREIBER FO OFF / S offers you advantages with its directness at frst balls on downspin as well as in topspin rallyes.
. The incomparably high ball throw caused by the Hinoki outer veneer is fun and means additional danger to your opponent.
. The andro TREIBER FO OFF / S is a very vital blade and thus made for active and brave acting types of players. The blade of choice of andro product developer and former No. 11 in the world Damien Eloi.